Anderson Rental was founded in 1996 as part of Anderson Lumber Company. We have expanded our rental fleet to include large construction and industrial equipment as well as tools for the homeowner to accomplish their weekend projects. In addition, Anderson Party Rental features items such as tents, tables, chairs, and many more accessories for weddings, parties and other special occasions. We also have Commercial Lawn Mowers and Outdoor Power Equipment for sale. We are a certified dealer for Bobcat, Dixon and Jonsered mowers. We also carry a complete line-up of Shindaiwa and Echo trimmers, blowers, and edgers. 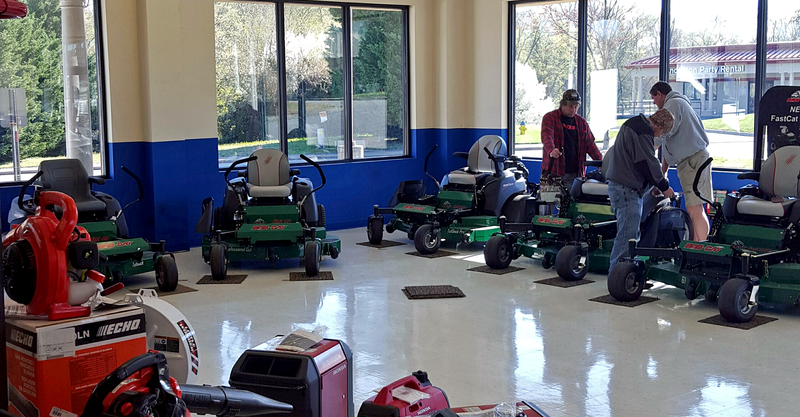 We are a certified dealer for Honda outdoor power equipment and carry Honda mowers, generators, pumps, tillers, and more. With a staff of certified mechanics, we service everything we sell as we are a certified dealer for Kohler, Kawasaki, Honda, Echo and Shindaiwa. We also carry parts for those products and can service all brands of mowers and trimmers. Please feel free to stop by and see our huge selection of inventory. Located behind Office Depot at the intersection of Louisville Rd. and 129 bypass in Alcoa, Tennessee.